UFC is returning to business with its an end of year UFC 232 Pay-Per-View event, and they already got a major shakeup in the wake of Jon Jones recent drug test fiasco which led the promotion to relocate the entire fight card from Las Vegas to The Forum in Inglewood, California. The PPV event is set to go down Saturday night (Dec. 29, 2018). 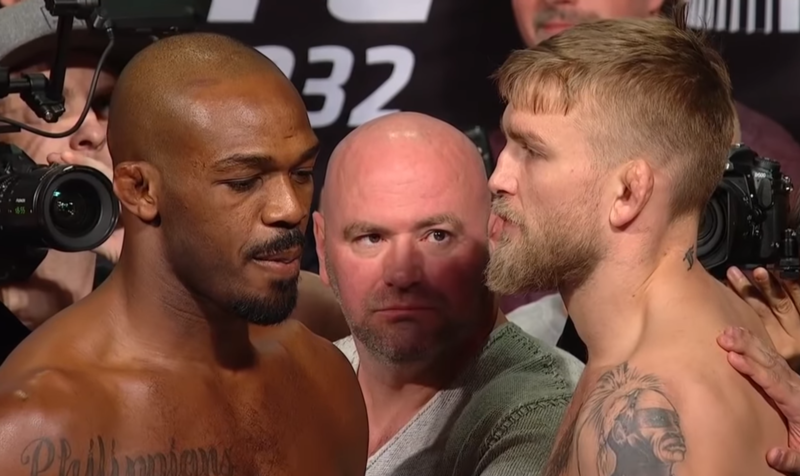 In the main headliner, UFC will be crowing a new light heavyweight champion when Jon Jones and Alexander Gustafsson will clash for vacant 205-pound strap, which recently relinquished by Daniel Cormier. Meanwhile, in the co-main event UFC women’s featherweight champion, Cris Cyborg, will put her belt on the line against current women’s bantamweight champion, Amanda Nunes, who move up in a division in a hope to become a first female fighter to hold titles in two weight classes simultaneously. Cyborg (20-1 no contest) considered one of the most dominant female fighters in MMA today. After losing her debut fight to Erica Paes in May 2005, Cyborg since has gone unbeaten and is currently on 21 fight win streak. Nunes (16-4) is currently on seven consecutive fight win streak, with notable wins over the likes of former champions Miesha Tate and Ronda Rousey. You can purchase the main event on PPV for $64.99. Moreover, you can also order the main card on UFC.TV for $64.99. Early prelims start at 6:15 pm ET on UFC Fight Pass, then FS1 Prelims at 8 pm ET and the main card at 10 pm ET on Pay-Per-View.